Back in the spring I was so excited to plant my flower box full of beautiful impatiens only to discover that bunnies were eating the flowers right off the plants. 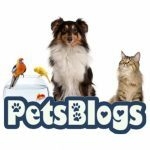 So I went in search of a solution online and found a myriad of options for keeping rabbits out of my flowers and off my garden plants as well. Out of all the rabbit repellents, remedies, and deterrents I found, I decided to try a homemade solution that contained Tabasco sauce, raw eggs, water, and a squirt of dish soap. I was hoping that the rather harmless-sounding concoction would make dining on my beautiful impatiens less appetizing for the mamma rabbit and her baby bunnies without actually hurting any of them at all. I mixed the recipe and applied it to my flowers using a spray bottle and waited and guess what . . . it actually worked! 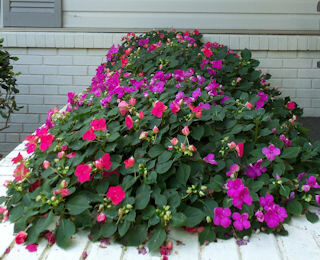 And I never had to reapply the mixture to the impatiens or any of my garden plants. The bunnies did come and eat a few but apparently they didn’t like them with the special sauce. Here it is September and I am still happily enjoying my flowers while the rabbits are happily enjoying the grass and clover patches in the back yard. It’s nice that my impatiens won the wild bunny battle using an easy-to-mix, easy-to-apply, harmless, inexpensive homemade spray. 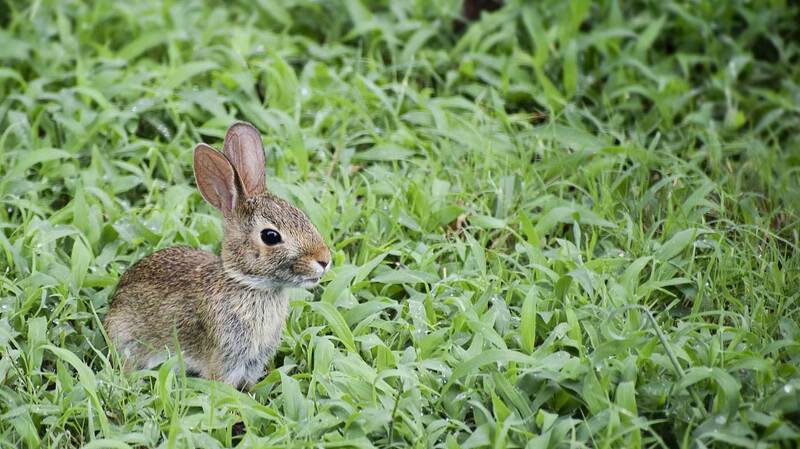 Need the rabbit repellent recipe? Check out Bunnies in My Flowers for the concoction that deterred the rabbits from feasting on my flowers! I have 14 rabbits and some of mine chew their hutch and others don’t..The worst one for chewing is Lucky my daughters Netherland Dwarf he’s always chewing at the hutch and it’s mainly the door too..I’ve screwed wood on to the door to protect it from him and it’s working – so now he chews the wood I put on but at least it’s not the door!